The new showroom is located at Vishal Astra, 12 A, Scheme no 54, A B Road, Indore. 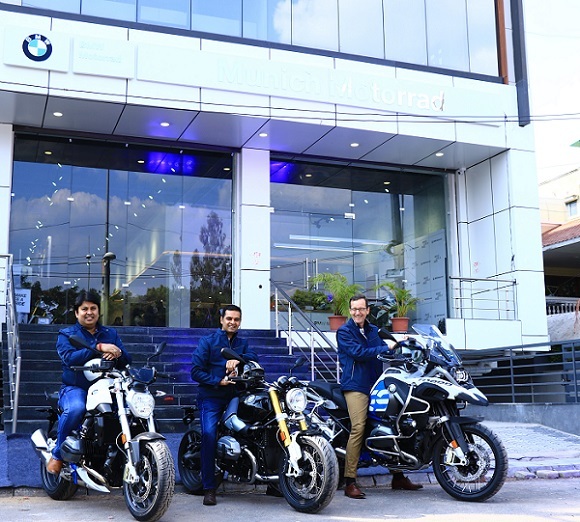 Spread across approximately 2,200 sq.ft., the showroom showcases 10 motorcycles, a customer lounge and a wide array of BMW Motorrad accessories and lifestyle merchandise. The 2,000 sq.ft aftersales facility has two mechanical bays for complete service. Munich Motorrad will deliver international standards of sales, service, spare parts and business systems in all processes to ensure that customers receive best-in-class pre and post sales ownership experience.